The American Hosta Society originally registered this Japanese plant as Hosta tokudoma 'Aureo-nebulosa in 1987. 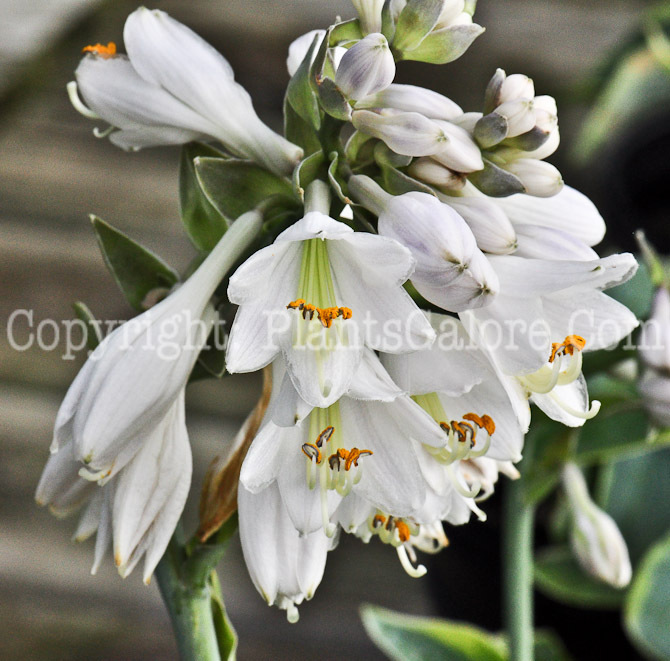 As with several other forms of hosta, The Genus Hosta by W. George Schmid (1991) determined that it was actually a cultivar and not a species and gave it the current name of Hosta 'Tokudama Aureonebulosa'. 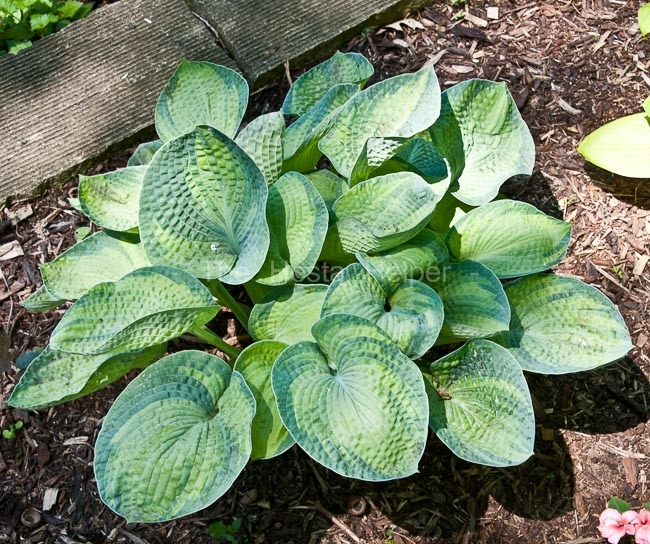 This very slow growing medium size (16 inches high by 33 inches wide) hosta has a goldish center with dark blue margins. The leaves are oblong to ovate, cupped, wavy and heavily corrugated. Its thick leaf substance makes it resistant to slugs. This plant has near white flowers that bloom from late June into July. According to The Hostapedia by Mark Zilis (2009), "What a plant! Despite its slow growth rate, 'Tokudama Aureonebulosa' ranks highly for its interesting, multi-colored foliage that is also very slug resistant." An article about H. tokudama 'Aureonebulosa' by Warren I. Pollock in The Hosta Journal (1985 Vol. 16) states that, "...means "clouded with gold. "...The Japanese name is "Akebono-Tokudama"...Akebona means "dawn"..."
A Photo Essay article by Steve Chamberlain in The Hosta Journal (2010 Vol. 41 No. 1) makes comments about H. 'King Tut', "Gretchen Harshbarger registered this hybrid of 'Tokudama Aureonebulosa' in 1981. 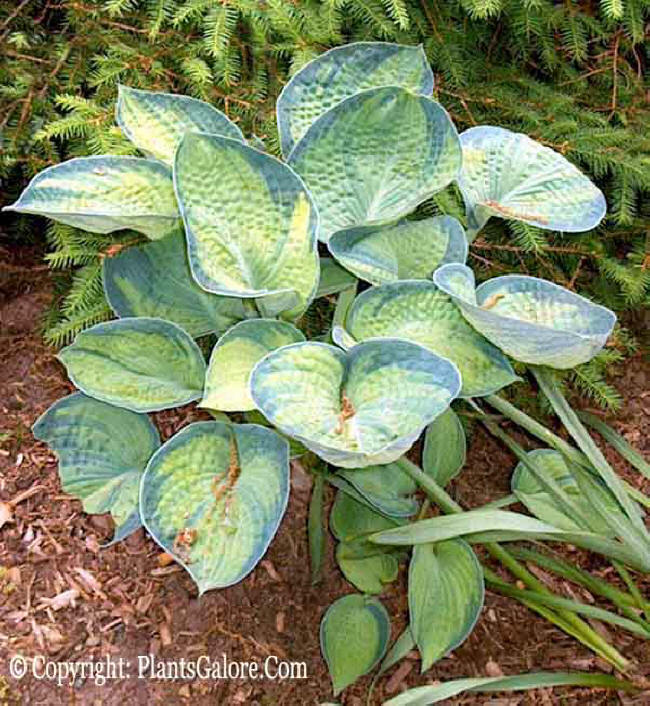 It is a reliable yellow hosta with good substance and a hint of green that gives the leaves an unusual appearance. It also has proven to a useful pod parent in my hybridizing program." This hosta may have been sold at one time as Mackwoods No. 35.